Kia is also installing a vehicle charging station at Vijayawada, for representatives from the regional government to charge their new environmentally-friendly fleet. 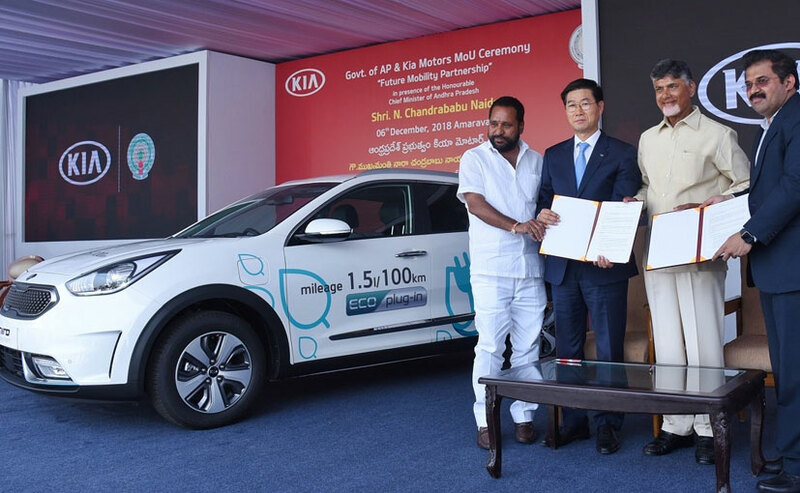 Kia Motors India signed a Memorandum of Understanding with the state of Andhra Pradesh to collaborate on the 'Partnership for Future Eco Mobility'. The partnership signifies Kia's long-term commitment to build eco-friendly vehicles at its new Anantapur plant in Andhra Pradesh, an important step for the future of clean mobility in the rapidly expanding Indian market. The Andhra Pradesh government is developing 14 smart cities and Kia is working with the regional government to design a new generation of transportation systems that best serve the citizens in each of these cities. The memorandum was signed in the presence of the Chief Minister of Andhra Pradesh N. Chandrababu Naidu and Kookhyun Shim, Managing Director and CEO of Kia Motors India. As part of the agreement, Kia Motors has provided the government with three cars - a Niro Hybrid, Niro Plug-in Hybrid and a Niro EV. Kia is also installing a vehicle charging station at Vijayawada, for representatives from the regional government to charge their new environmentally-friendly fleet. Kookhyun Shim said, "Kia is taking a lead in the global eco-friendly vehicle market, and we are confident of achieving the same in India. This new partnership with the Andhra Pradesh government highlights how we can support the growth of EV infrastructure and uptake of eco-friendly vehicles, bringing exciting new possibilities for future mobility in India." Kia's 'ACE' strategy - to produce Autonomous, Connected and ECO/Electric cars - will see the brand adopt connected car technologies across every vehicle segment by 2030. Further to this, the company plans to offer 16 electrified vehicles by 2025. The company continues to invest in the development and commercialization of autonomous driving and eco-friendly vehicles. 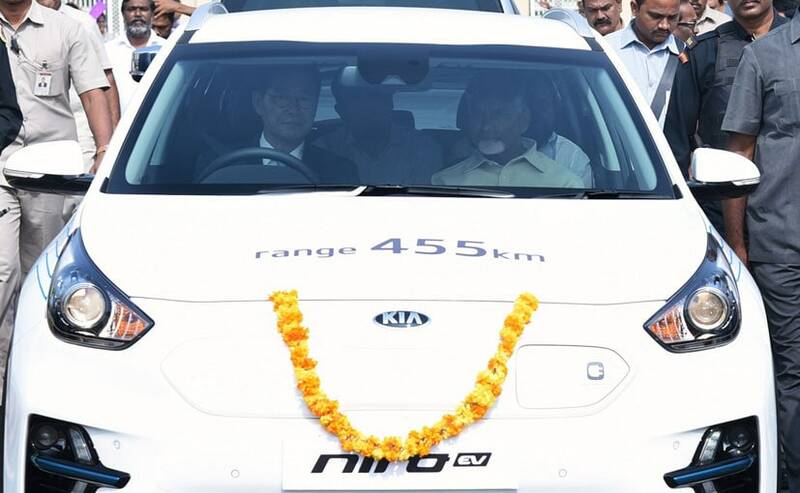 The three Niro vehicles provided to the Andhra Pradesh Government include the new Niro EV - a fully electric crossover capable of travelling 455 kilometres on a single charge by Worldwide Harmonised Light Vehicle Test procedure (WLTP) combined test cycle. The Niro Hybrid and Niro Plug-in Hybrid are already among the best-selling hybrid vehicles globally, employing parallel hybrid powertrains which switch between petrol and electric power - or offer a combination of both, recharging their batteries whenever possible to maximize electric vehicle range.